SYNOPSIS: Thomas Huston, a beloved professor and bestselling author, is something of a local hero in the small Pennsylvania college town where he lives and teaches. So when Huston’s wife and children are found brutally murdered in their home, the community reacts with shock and anger. Huston has also mysteriously disappeared, and suddenly, the town celebrity is suspect number one. Okay, so this novel had more potential than was realised. That is not to say that it wasn’t a decent read, but there were times where I was frustrated. Two of the biggest flaws being the totally unnecessary and awkward cussing (it just didn’t flow right), and the way the book waffled on and on unnecessarily at the best of times. Two Days Gone could have been tightened up quite a bit more than it was. Also, I never really bought into any of the characters, or their relationships. Nothing really gelled there like I thought it would. The mystery surrounding Huston and his family’s murder was something that, when I read, I was like “oooooh”, and then it just went nowhere. I know I sound terribly critical of this book, and I don’t mean to come across this harshly, because the book did read very quickly, even though it dragged, and it was relatively engaging, despite not being as thrilling as it could have been. 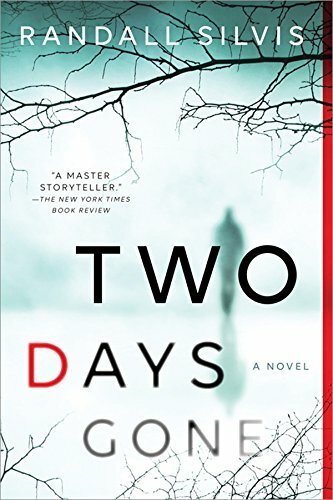 I liked the book more as it progressed and I warmed to it, now having dealt with the unlikable characters and jarring cussing, and even accepted the totally flawed logic that was presented because, at the end of the day, I was still entertained, though never actually surprised. The writing is not bad, and I did like how quickly the book flowed. Two Days Gone was neither great nor terrible, it was just in the middle of everything – an okay read. This entry was posted in Books and tagged book reviews, books, Netgalley, okay. Bookmark the permalink.